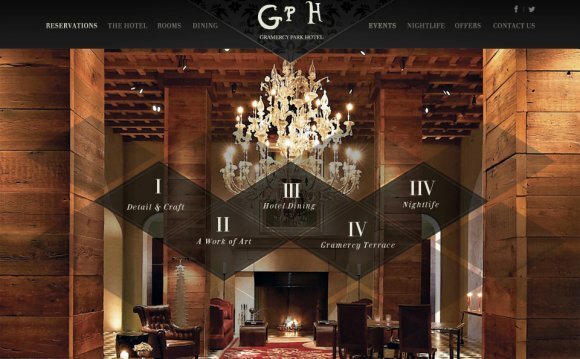 Our unique approach to custom hotel website design takes into account your distinct wants and needs. First, we take time to listen to your personal goals and objectives before moving on to conduct extensive research that will help us formulate a strategic plan of action for your property. Our in-house staff—some of the industry’s most talented designers and copywriters—use proven best practices in site architecture, usability, and design to ensure your site is easy to navigate, uses strong text and visual cues, and inspires more guests to complete a booking. A beautiful website design isn't enough without proven usability and revenue-generating performance behind it. Our understanding of how travelers search, shop, and book rooms leads to increased conversions for your property. We use this insight to implement the latest interactive designs, technology, and usability best practices so your property realizes increased online bookings. Get results you can see. We continually monitor performance and opportunity areas with real-time integrated analytics to show performance statistics, including roll up reporting. And, through completely transparent reporting, you’ll know exactly what’s working to increase your revenue. Manage, track, and take control of your online presence with our proprietary, user-friendly content managed system (CMS). This powerful tool allows you to easily change content and upload new photos or promotions to keep your site current for travel shoppers and guests. Mobile websites are a must for every property. We can design a powerful mobile website that will not only complement your main property website, but extend your visibility and brand in the fastest-growing online channel. Find out more on our Mobile Design page. Let us create an effective, profitable website design that will enhance brand awareness. Template Websites - If you're looking for a more economical website option, select an existing website template. Choose from our gallery of professionally designed templates.